Water wells occasionally can be contaminated as a result of flooding or other natural occurrences or due to well repairs. Removing and replacing well components offers an opportunity for contamination to occur. The process of getting the well back into use involves shocking the well with chemicals and flushing the entire system. 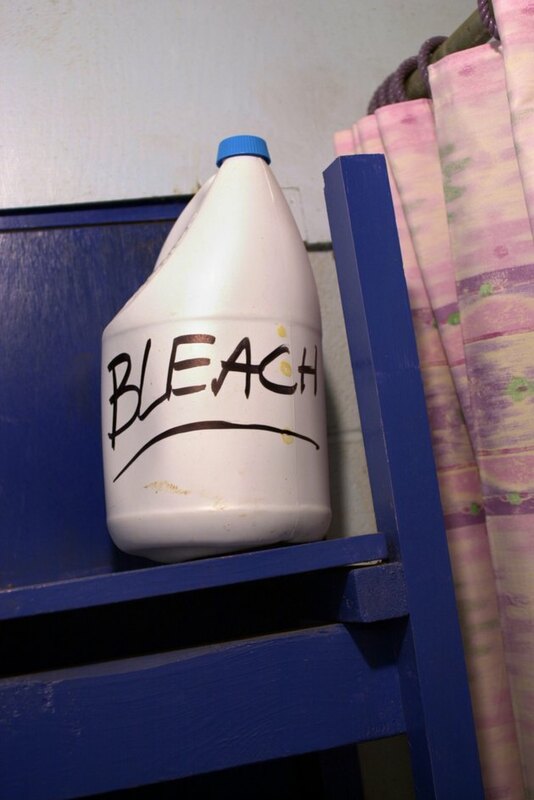 Determine the amount of chlorine bleach needed to shock chlorinate the well. This process disinfects the well components and the soil surrounding the well. 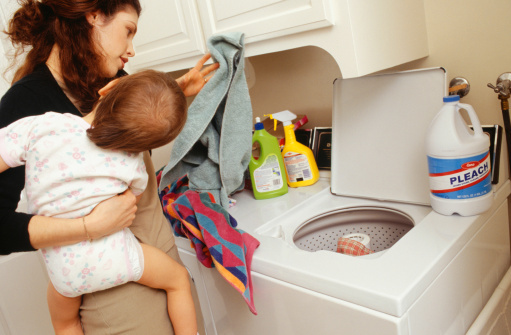 Chlorine laundry bleach can be used in this process. The amount of bleach used is based on the diameter of the well casing and the depth of the well, according to the Ohio State University Extension. For example, a well with a 6-inch-diameter casing that is 25 feet deep can be treated with 1 pint of chlorine bleach. A well with an 8-inch-diameter casing that is 100 feet deep requires 1 gallon of chlorine bleach. Consult your local extension office for a chart detailing the amount of chlorine bleach used for a variety of sizes and depths of wells. Clean the entire the system. Pour the bleach into the well after the water system is reassembled and ready to operate. Use a garden hose to wash the bleach down the well by running the water down the well. Continue this process until a strong smell of chlorine is evident from the water coming from the garden hose. Run water from all the outlets in the water system until the smell of chlorine is evident at each. At this point, all the water in the water system contains the antibacterial chlorine. Leave the chlorinated water in the system for up to 24 hours, suggests the Ohio State University Extension. Flush the chlorine-laden water from the system. Run water from each outlet in the home until the water has no noticeable smell of chlorine. Homes that use a septic system may wish to divert the water outdoors to avoid overloading the system. Test the water system 1 or 2 weeks after flushing the system. If bacteria are still present, the system may need to be shocked and flushed again. Persistent bacterial problems may require systems that continuously treat the water as it passes through the system.